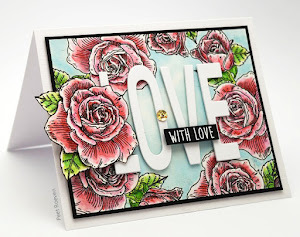 Penny Black is the sponsor for this weeks challenge. 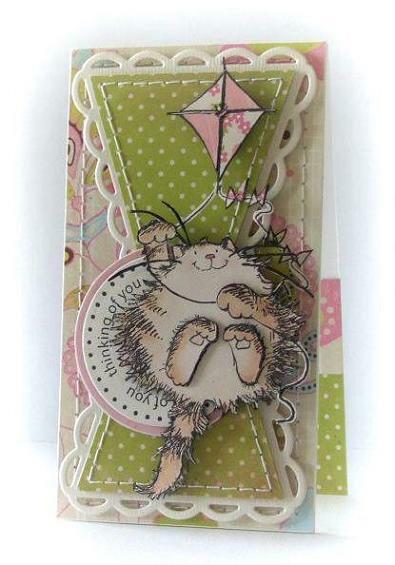 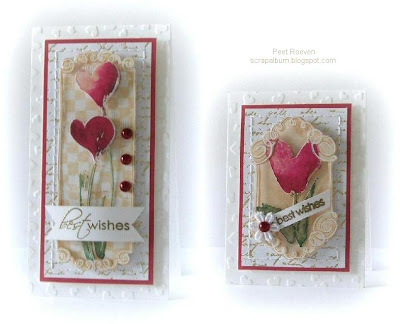 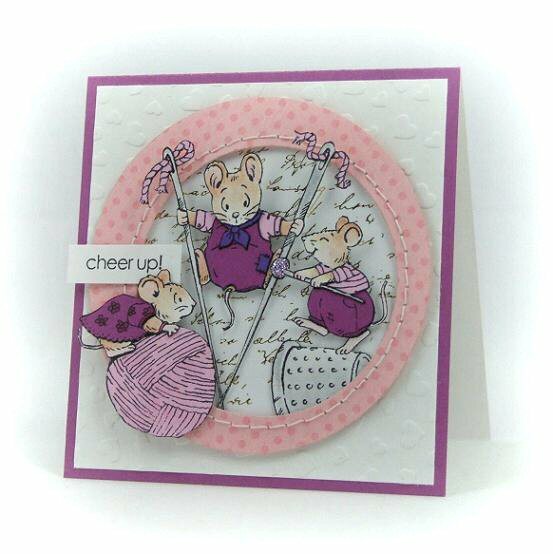 We are featuring cards with stickers at the Penny Black blog today. 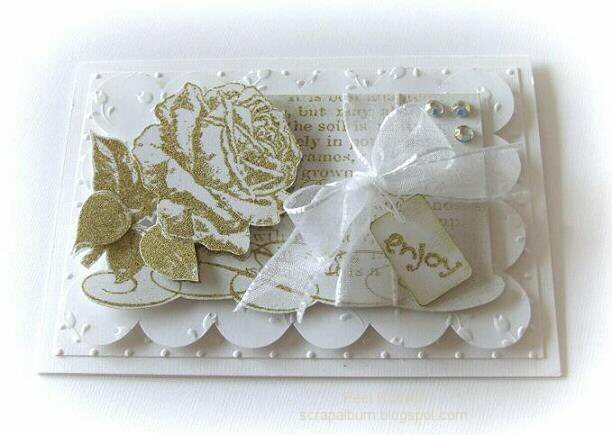 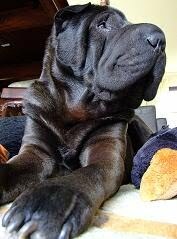 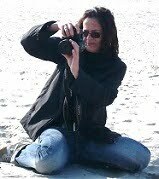 Thanks for your sweet comments and have a wonderful weekend! 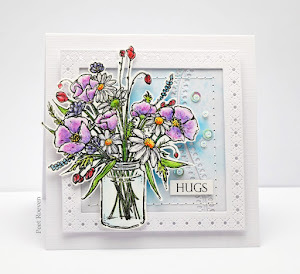 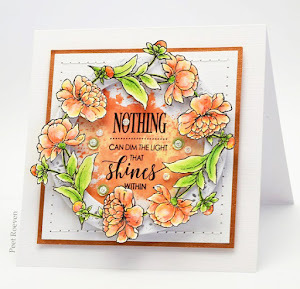 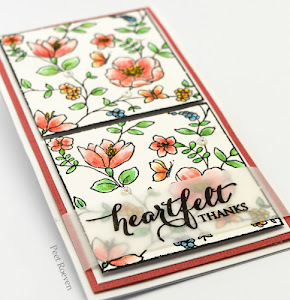 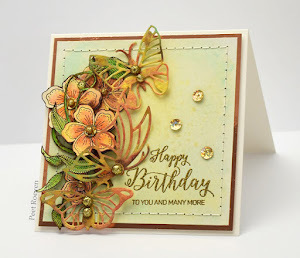 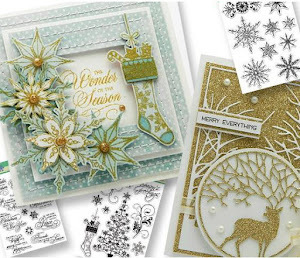 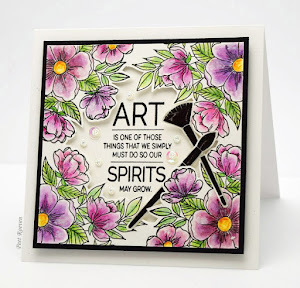 Today at the Penny Black Blog you will find inspiration from the Design Team using the new transparent set "Air Mail"
This week I am designing for the Penny Black Blog. 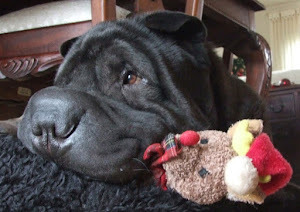 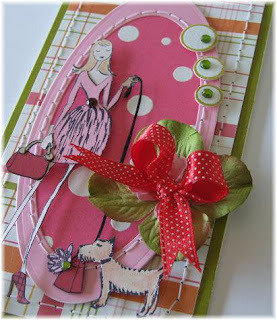 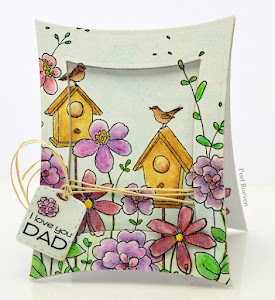 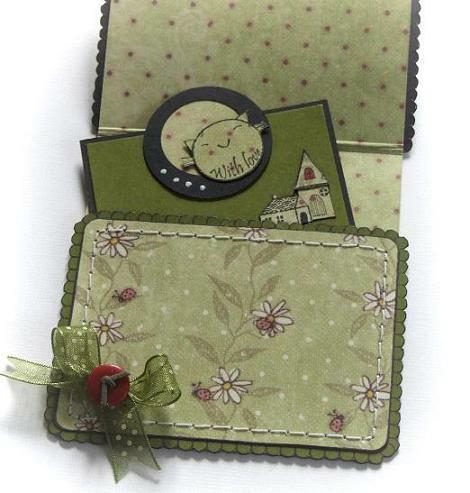 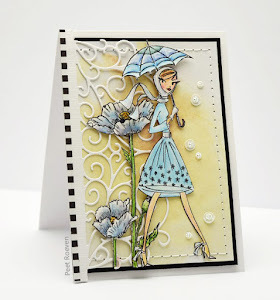 We are are celebrating scrapbooking day at the Penny Black blog. 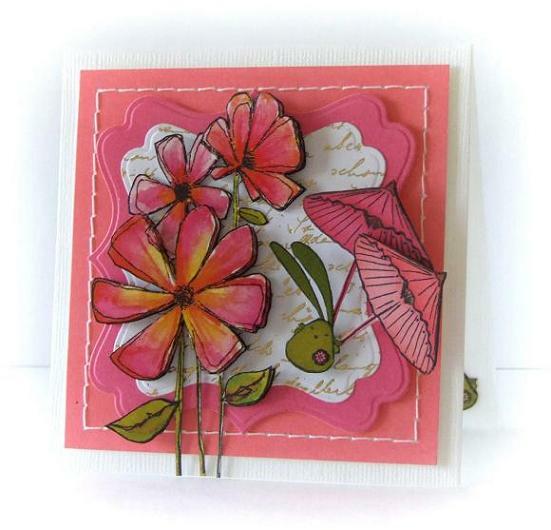 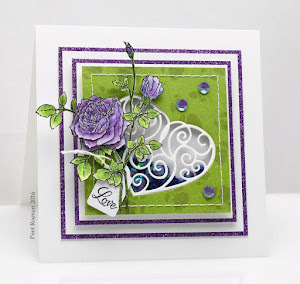 Today's challenge is to create a monochromatic card using Penny Black stamps. 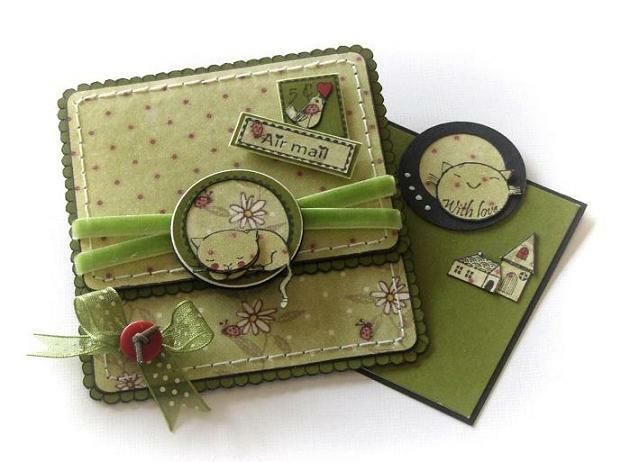 There are wonderful PB goodies to win!! 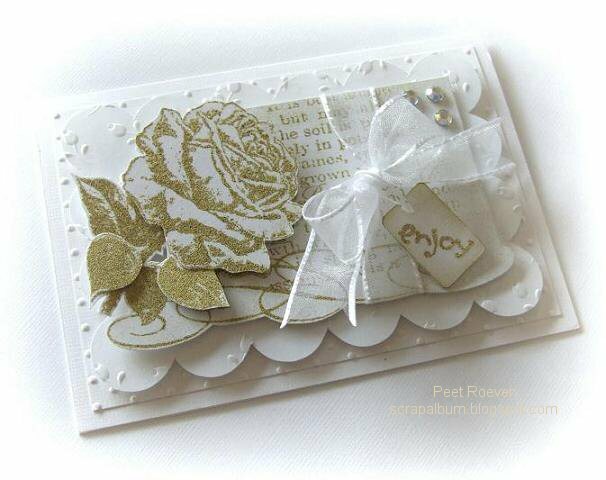 I have embossed the border and sand it. 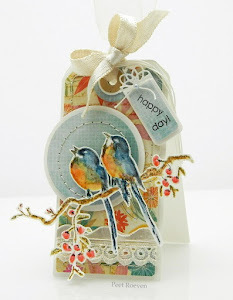 The image was Wet/Heat Embossed with -Old Paper- distress embossing powder from Ranger.